Healthcare professionals should educate themselves and others about the visible and invisible stigmas associated with Parkinson’s. 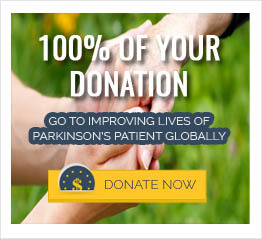 As suggested by Dr. Rana and colleagues, using a holistic approach to assess a Parkinson’s patient as a whole person by incorporating your passion and experience may not only assist in understanding the complications of Parkinson’s disease, but can possibly reveal the visible and invisible stigmas related to this disease. Healthcare teams of Parkinson’s patients should be mindful of providing comprehensive care to patients for their physical, psychological, and social well-being. Therapeutic interventions provided by healthcare professionals should target each and every motor and non- motor symptom of Parkinson’s disease. Healthcare professionals should educate caregivers and patients not only through clinical encounters, but also through Parkinson’s support groups and other educational means. Dr. Shulweeh Alenazi,Consultant Psychiatrist, King Khalid University Hospital, Riyadh, Saudi Arabia.